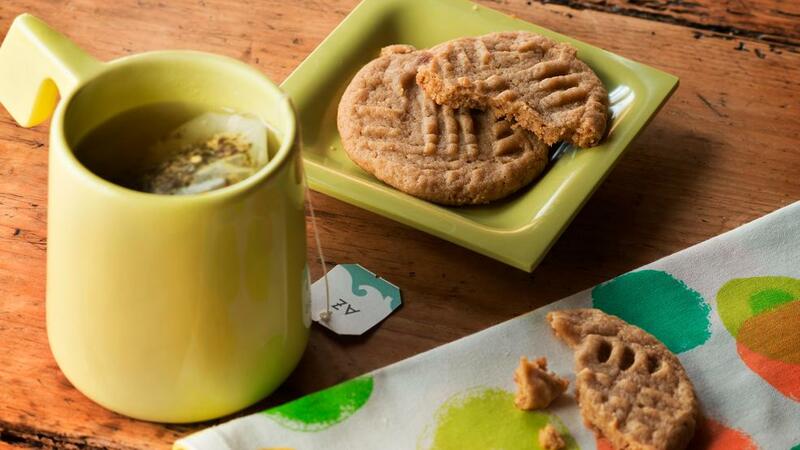 Those nights (or days) when you are craving peanut butter, I mean really craving peanut butter, nothing beats these chewy peanut butter cookies. The small batch size here is a blessing and a curse! Bake until set and the edges have the slightest bit of color, about 8-10 minutes. Allow to cool for 15 minutes. Cookies will get firm during the cooling process. Enjoy. In a medium saucepan, bring a quart of water to a boil on the stove. You can vary the amounts, just be sure the marijuana is always floating about 1-1/2 to 2 inches from the bottom of the pan. When the water is boiling, place the butter in the pan and allow it to melt completely. After the butter has melted, add the marijuana. Once the weed is added, the heat should be turned down very low, to barely a simmer. Let the weed cook for about three hours. You can tell it’s done when the top of the mix turns from really watery to glossy and thick. While the canna butter is cooking, set up a bowl to hold the finished product. Use a heatproof bowl or a plastic food container. Place a double layer of cheesecloth over the top and secure it with elastic, string or tape. Strain the marijuana butter through the cheesecloth, carefully trying not to spill. When the saucepan is empty, undo the twine, pick up the cheesecloth from all four sides and squeeze out all of the remaining butter. Allow the canna butter to cool for about an hour. Place in the fridge until the butter has risen to the top and is solid. The THC and other properties have attached to the butter, and you are just about there. Run a knife around the edge and lift the butter off. Place upside down on your work surface and scrape off any of the cooking water. 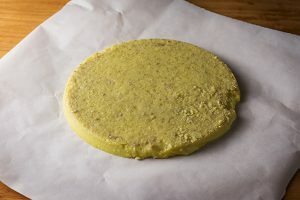 Your canna butter is ready to use in recipes. For more cannabis recipes, see laurieandmaryjane.com.